Vietnam Airlines and The People’s Committee of Thua Thien Hue Province have launched a dedicated partnership aimed at driving tourism, improving investment and boosting the socio-economic development of Thua Thien Hue province, while simultaneously promoting the image, products and services of SkyTrax four-star rated national flag carrier Vietnam Airlines. Over the next four years, Vietnam Airlines and Thua Thien Hue Province will collaborate on a programme of activities to promote this enchanting and historic region, including international tourism, cultural, arts and sports events; global sales and media familiarisation trips; and participation in international travel fairs. Vietnam Airlines will also explore the feasibility of increasing flight frequency and new routes to Hue. Speaking at the signing ceremony, Duong Tri Thanh, president and CEO of Vietnam Airlines, said: “Vietnam Airlines recognises the potential and opportunities for the development of Thua Thien Hue province. On the basis of this agreement, the two sides will expand cooperation in a synchronized and comprehensive way. Nguyen Van Cao, chairman of Thua Thien Hue People’s Committee, said: “The socio-economy of a country and of each locality will develop sustainably if culture, education, transport, commerce and related services are synchronously developed. Thua Thien Hue is one of the key economic zones in Central Vietnam, attracting visitors because of its rich natural and cultural landscape and its central location on Vietnam’s Cultural Heritage Road (Ha Long – Phong Nha – Hue – Hoi An – My Son – Ho Chi Minh Road). Currently, direct flights to Hue from Hanoi and Ho Chi Minh City are operated by Vietnam Airlines with a frequency of three to four flights a day. Vietnam Airlines and the People’s Committee of Thua Thien Hue Province have worked closely to promote tourism in recent years, most notably for the Hue Festival. This new agreement strengthens the cooperation, marking a mutual, long-term commitment to open up this region to tourism and boost further to its socio-economic development. 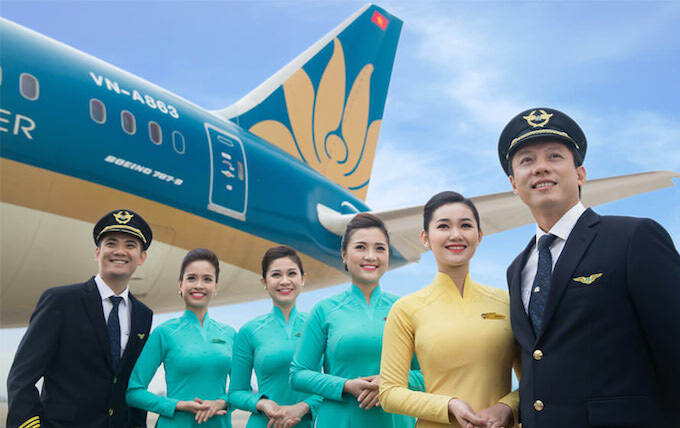 Vietnam Airlines offers the UK’s only nonstop flights to Vietnam, operating daily services from Heathrow Terminal 4 to Hanoi or Ho Chi Minh City. Flights are carefully scheduled to offer convenient overnight journeys in both directions, and excellent onward connections via its comprehensive network of over 40 destinations in Asia, including more than 20 within Vietnam and Indochina, as well as China, Japan and Taiwan.